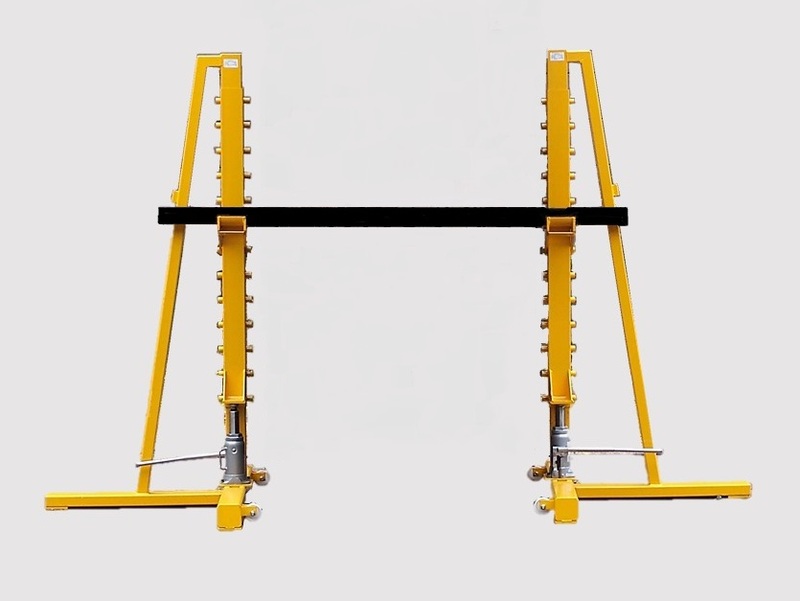 Lightweight hydraulic drum jacks which are almost indispensable for use in the cable yard. Versatile and easily adjustable within seconds to accommodate a vast range of drums. Excellent all round stability, fitted with wheels to be easily moved by one person. Supplied complete with spindle bar and locking collars. (Refer Below) Paint finish. 3 Tonne Capacity SWL Per Pair, Minimum Drum Dia 800mm, Maximum Drum Dia 2500mm, Base Area 830x700mm, Weight Per Pair 106Kgs. 6 Tonne Capacity SWL Per Pair, Minimum Drum Dia 880mm, Maximum Drum Dia 3000mm, Base Area 900x765mm, Weight Per Pair 118Kgs. 10 Tonne Capacity SWL Per Pair, Minimum Drum Dia 1080mm, Maximum Drum Dia 3500mm, Base Area 1060x985mm, Weight Per Pair 180Kgs. 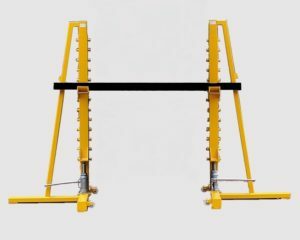 For information on Spindle Bars please refer to our Spindle Bars Section.